Professional ball head with max. load of 23kg! The Magnesit MB6.4 is the follow-up of the proven Magnesit 6.5. New with the MB6.4 is the quick-release system CONCEPT ONE OXC. 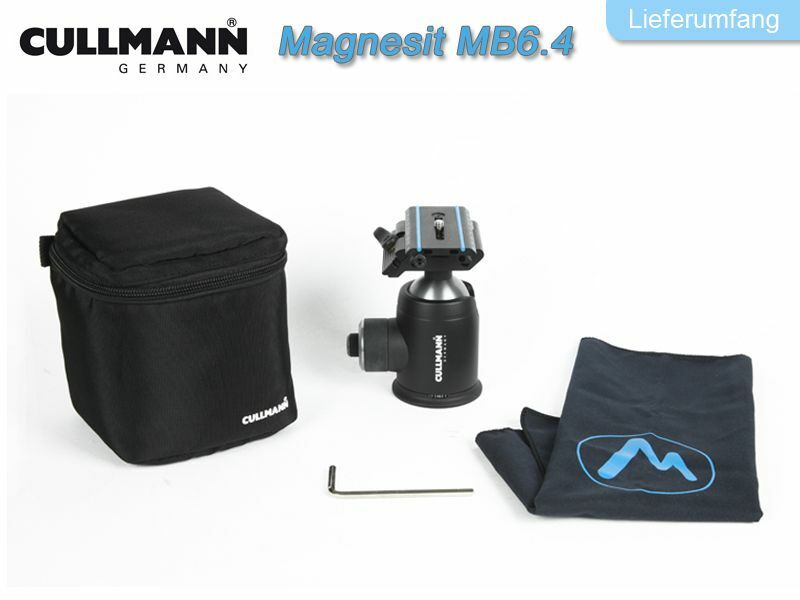 This completely build of aluminium, arca-swiss compatible quick-release system guarantees a safe and reliable hold of your camera. An additional safety knob prevents an accidently slipping of the camera. Due to his high-class workmanship and the well thought out design, the Magnesit MB6.4 is definitly one of the best ball heads currently available. 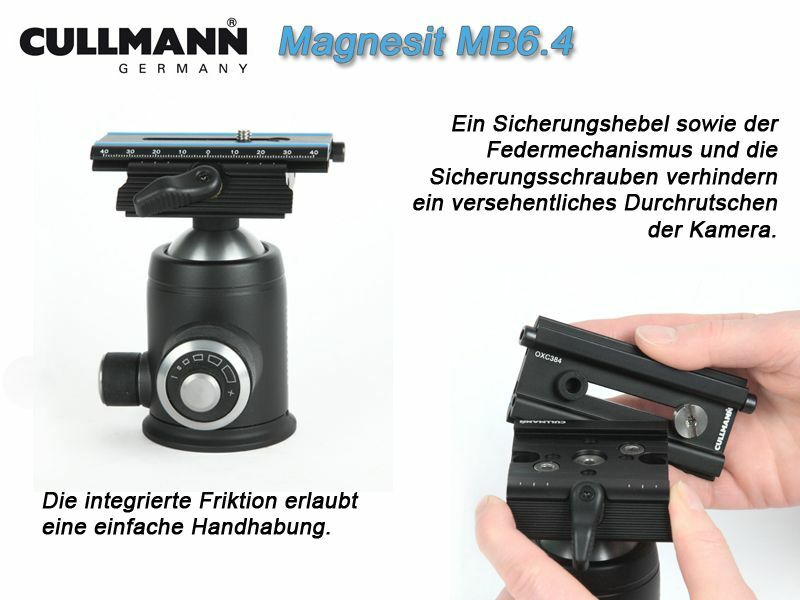 The control knobs are varying in size, therefore an intuitiv handling is very quickly possible. Integrated in the control knob of the ball is a friction with several lock-in positions. With a maximum load of 23 kg (!) 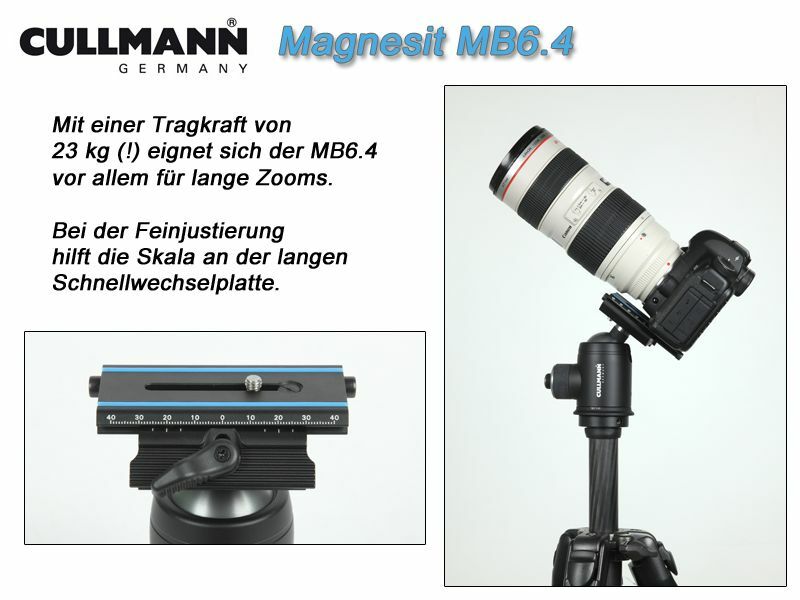 the Magnesit MB6.4 is especially suitable for DSLR cameras with high-speed zooms. 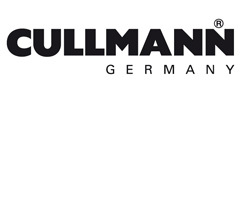 Helpful for a set up accurate to the millimetre are the scales on both sides of the 90mm long quick-release plate. 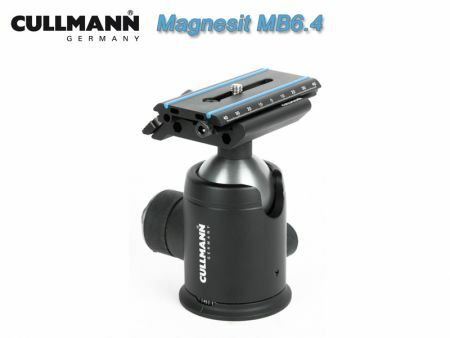 High quality ball head made of aluminium - and made in Germany!